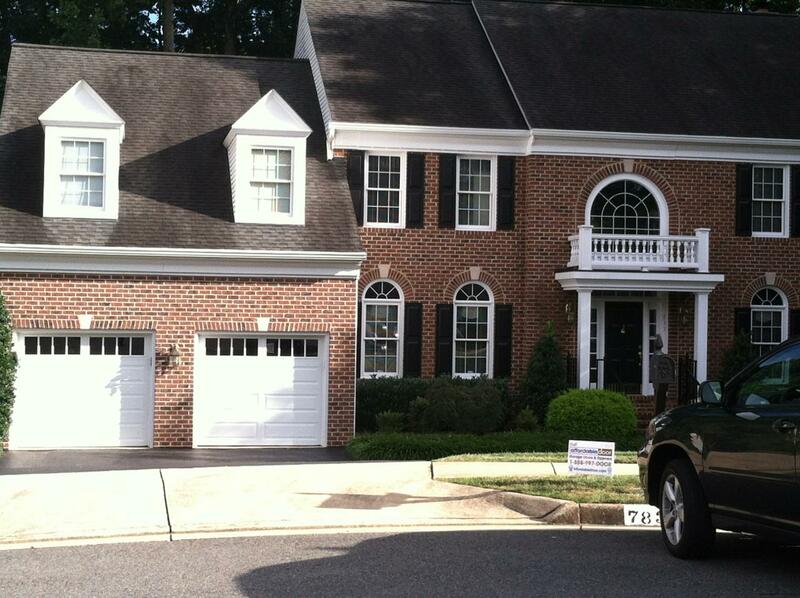 Look at these beautiful Clopay 4050 garage doors that we recently installed in Fairfax Station, Virginia. Here Â the homeowner selected the elegant short style with colonial style windows in white, but this door comes in three panel types and seven colors. You also have a choice of over twenty window styles or you can opt not to have windows at all if you prefer more privacy. We love this door for safety because the patented Safe-T-BracketÂ® cannot, under normal circumstances, be removed while door is under tension and we love it for efficiency because the weather-tight tongue-and- groove joint helps seal out wind, rain and snow. 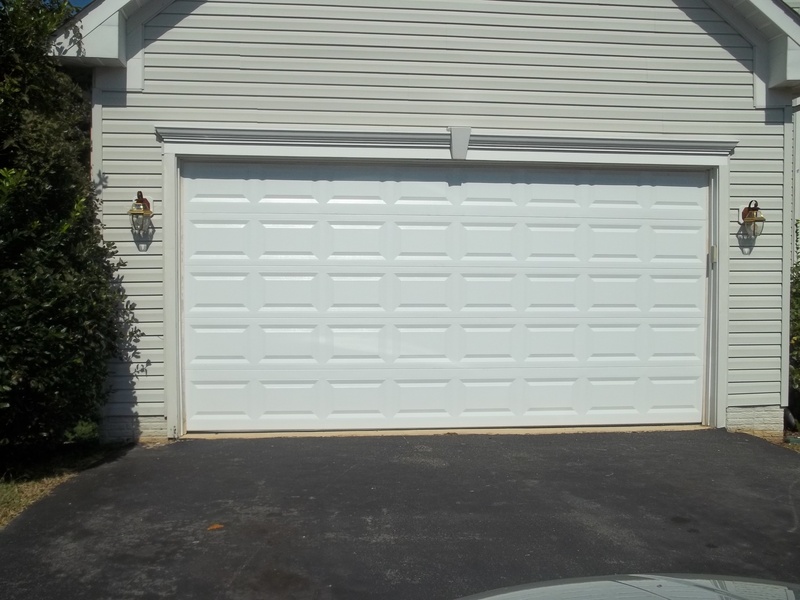 These white Clopay 4050 garage doors offer exceptional strength, insulation, dent resistance and security, as well as uncommonly quiet operation and a beautiful appearance outside and inside. There are seven color choices available from the factory, one of them perfect to fit your home and your style. If you prefer the look of a garage door with windows, the Clopay 4050 line has seventeen different styles to choose from. 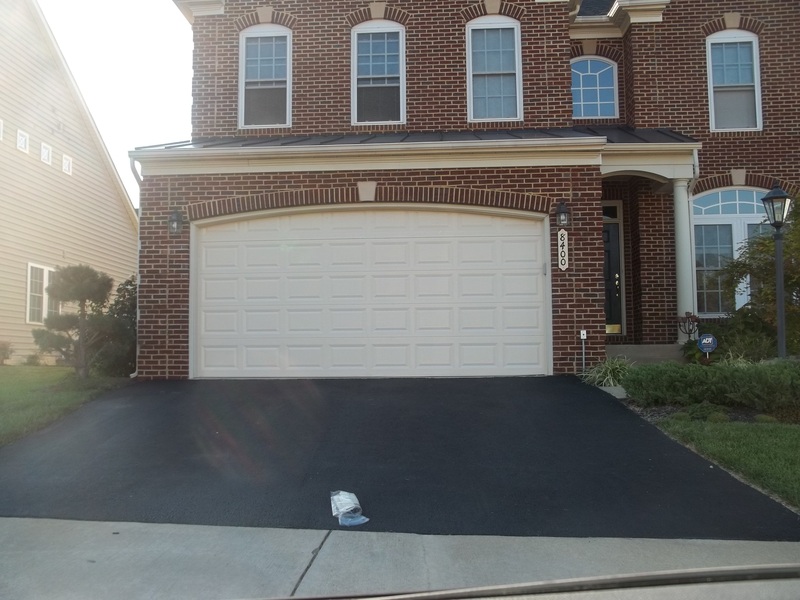 (703) 912-DOOR in Northern Virginia or (301) 277-DOOR in Maryland or Washington D.C.
We improved both the look and the efficiency of this gorgeous home in Gainesville, Virginia when we installed a new 16 x 8 Clopay T52. The heavy-duty steel skin combined with a layer of environmentally safe polystyrene insulation provides comfort, energy efficiency and quiet operation with a total garage door thickness of 2â€. Shown here in almond, this door is also available in sandstone, desert tan, chocolate brown, hunter green or gray. 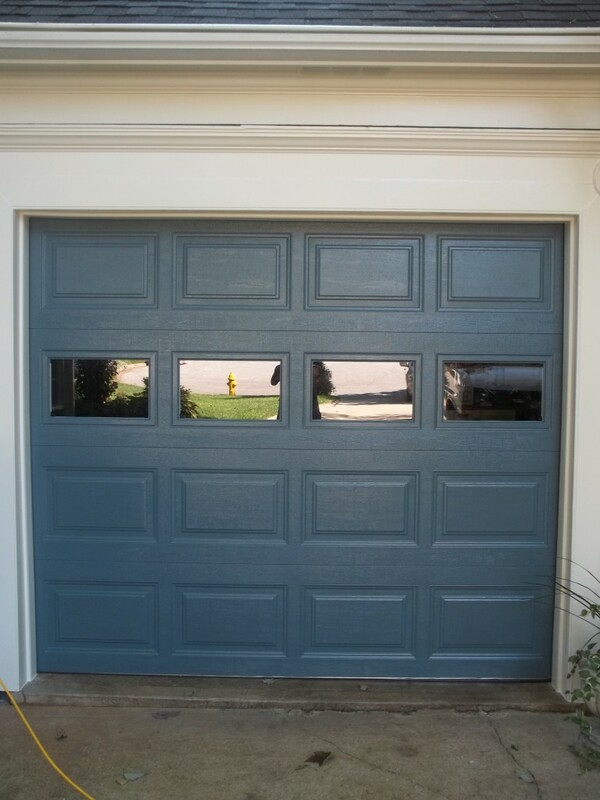 We love this blue garage door that enhances the beauty of this home in Dumfries. 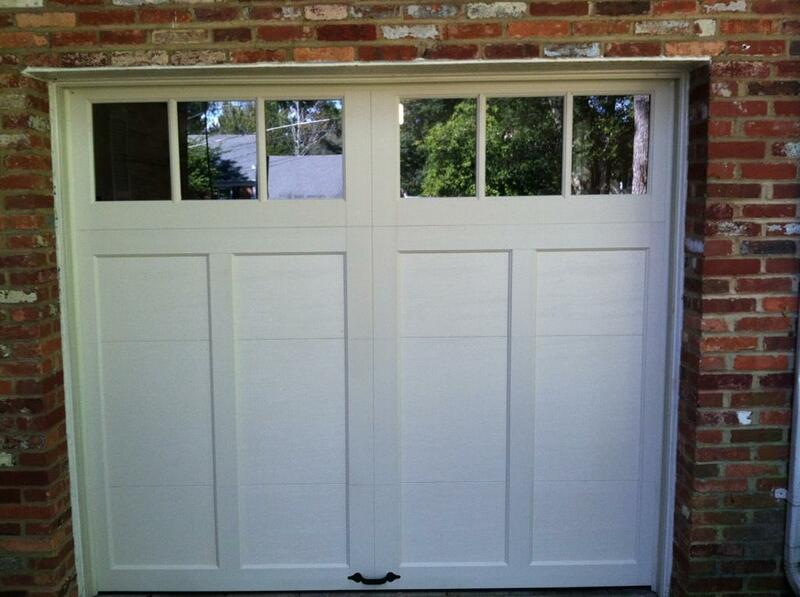 Looking for a classic, simple elegant garage door? 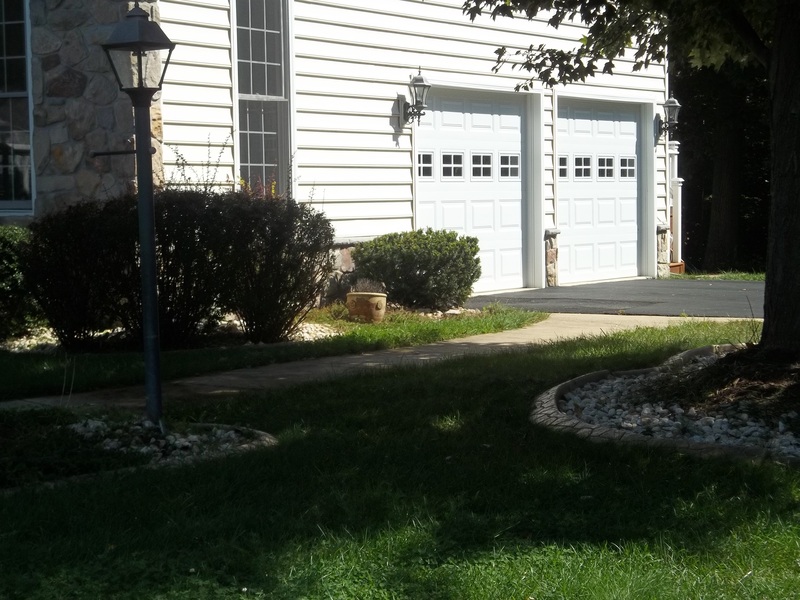 The owners of this home in Woodbridge, Virginia chose a white two-car garage door with no windows for beauty and security. 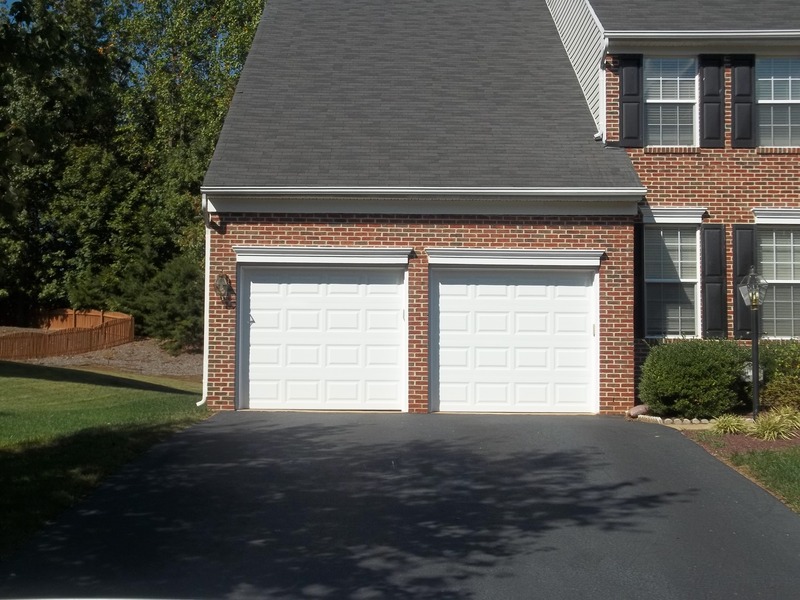 This is a great idea for a simple, clean look for a one car garage. It fits in beautifully with this older house in Alexandria.